East Greenwich RI Homes for Sale Update | March 2013 continues its ascent. Let us take a look at the East Greenwich RI real estate market as presented by Ginny Lacey Gorman, waterfront RI real estate agent. Sold Homes in March: 16 homes: 6 homes sold for less than $300,000, 3 homes sold between $300,000-$400,000, 6 homes sold for greater than $400,000 and 1 home sold for over $1 million. The average priced sold home was $ 434,471 at 94% of list price and days on market was 140. Home prices are up again in East Greenwich RI and the number of days a home is on market prior to going into agreement has increased minimally to nearly 5 months. Again this real estat market is one of the few RI home markets that is a 'balanced' real estate market between buyers and sellers. Neither buyer or seller have the advantage due to the single family home inventory. The home sales continue to be up over last year same time period. The East Greenwich RI real estate market update report is showing renewed buyer activity here which with low interest rates and should continue through 2013. But remember, if you bought your home 5 years ago, your home is not likely worth today what you paid for it then as of yet. If you really want to know what it is worth, call me for a true market analysis. Why do people live and choose the community of East Greenwich RI? This town is noted for fine homes, great schools, near malls and shopping and closeness to Providence airport. Looking for a home in East Greenwich RI? Interested in homes for sale in East Greenwich? Call me and let me take the stress out of finding the right East Greenwich neighborhood to live in. Looking for East Greenwich condo living perhaps? Search here for East Greenwich condos for sale. Call me to explore the neighborhoods of East Greenwich and to find the one for you at 401.529.7849 or email me at RiByTheBay@gmail.com. I’d love the opportunity to help you whether selling or buying your RI home. East Greenwich Market Report | March 2013. Ginny Lacey Gorman is a Rhode Island waterfront Real Estate Agent who works and knows the East Greenwich RI geographic area of homes for sale, schools, happenings and important tidbits of information well. Coastal, water view, ocean front, luxury and waterfront Rhode Island real estate are my specialty. If your considering Buying, Selling or Relocating to Rhode Island and need a real estate Professional it would be my pleasure to help you! When you are in need of an internet savvy RI realtor® who sells homes in this real estate market, call Ginny today at 401.529.7849 or email me at RiByTheBay@gmail.com. 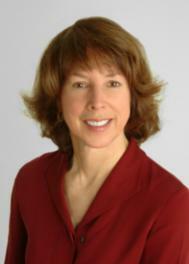 Ginny, Anyone looking to buy a home in East Greenwich RI should call you to be their agent. Sounds like wonderful recovery and that anyone looking to buy should be calling Ginny Gorman to insure they get the very best real estate service in Rhode Island. So glad to hear in East Greenwich, RI that home sales continue to be up over last year same time period! Good news..buyers and sellers should call Ginny Gorman to help with with their real estate needs! Ginny: It is very good news for local East Greenwich RI sellers to hear that prices are on the rise. As always, a very good market report. I just got back last night from the Active rain Meet up in Arkansas. I had a really good time. You should start charging for all the free advice you have been giving out. Have a great day and enjoy the trend in North Kingstown. Ginny, East Greenwich is a great place to live, so I am not surprise that home prices are up there. Looks like the market is improving, your knowledge can assist any buyer or seller. Keep up the great work!